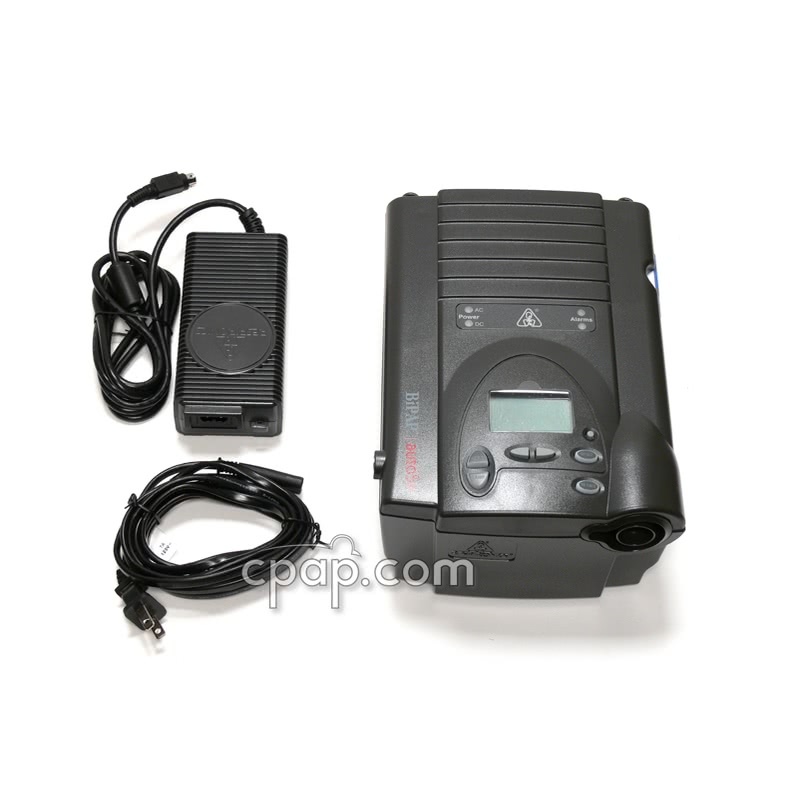 Newer Model Available: PR System One REMstar BiPAP Auto SV Advanced. Complex Sleep Apnea occurs when a person is identified as having Obstructive Sleep Apnea, but develops Central Sleep Apnea when using a CPAP machine. The REMstar BiPAP AutoSV(automatic Servo Ventilation) Advanced delivers optimal therapy for complicated sleep-disordered breathing cases. The 'Advanced' updates include an improved Digital Auto-Trak Algorithm, auto EPAP capabilities and Bi-Flex technology that enhances patient comfort. Please note that the Heated Humidifier is included in the price of this machine. 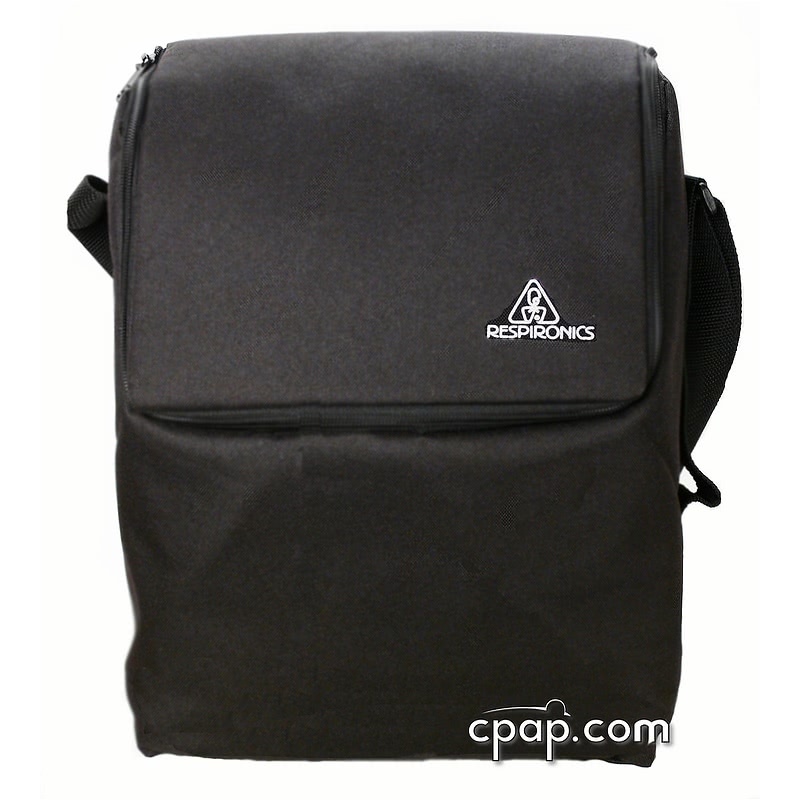 The BiPAP AutoSV Advanced comes standard with carrying case, bag, memory card, manuals and tubing. Bi-Flex Technology allows the BiPAP AutoSV Advanced to track each breath and helps provide pressure relief during three critical points in the breathing cycle. Pressure is reduced by half centimeter increments during the transition from exhalation to inhalation, inhalation to exhalation and during exhalation. The Bi-Flex setting can be adjusted up to 1.5cm of water pressure for maximum comfort. Bi-Flex comes standard with the PR BiPAP Series and can be turned on when in Auto Bi-Level Mode (also known as Spontaneous Mode). 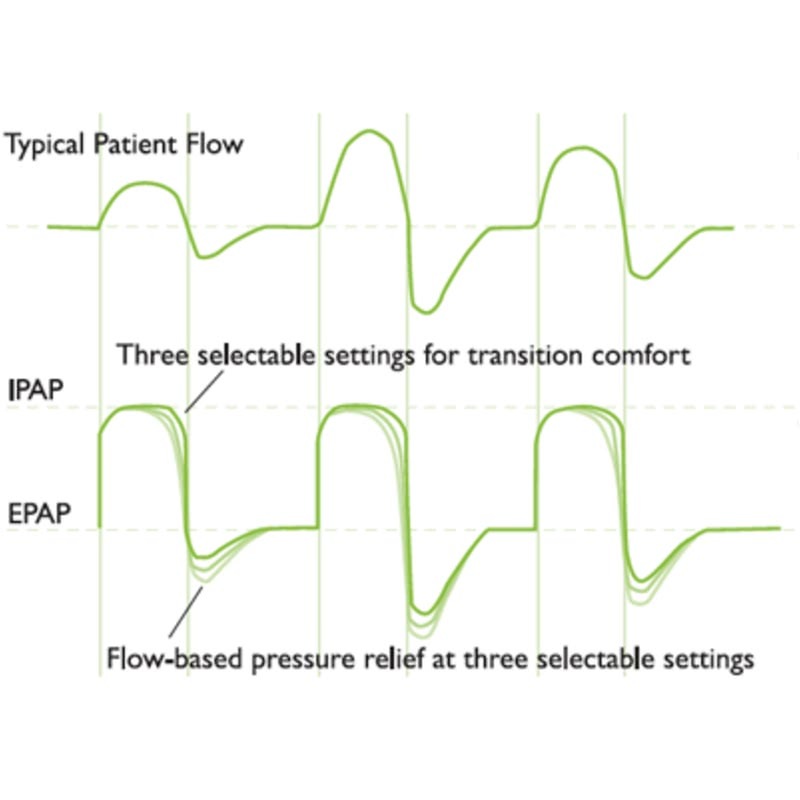 The BiPAP AutoSV can be set to support several modes using EPAP, IPAPmin and IPAPmax. The device can be set to deliver CPAP, CPAP with AutoSV, BiPAP and BiPAP with AutoSV. The auto-titrating algorithm allows the AutoSV to treat standard OSA symptoms as well as treating mixed apneas. 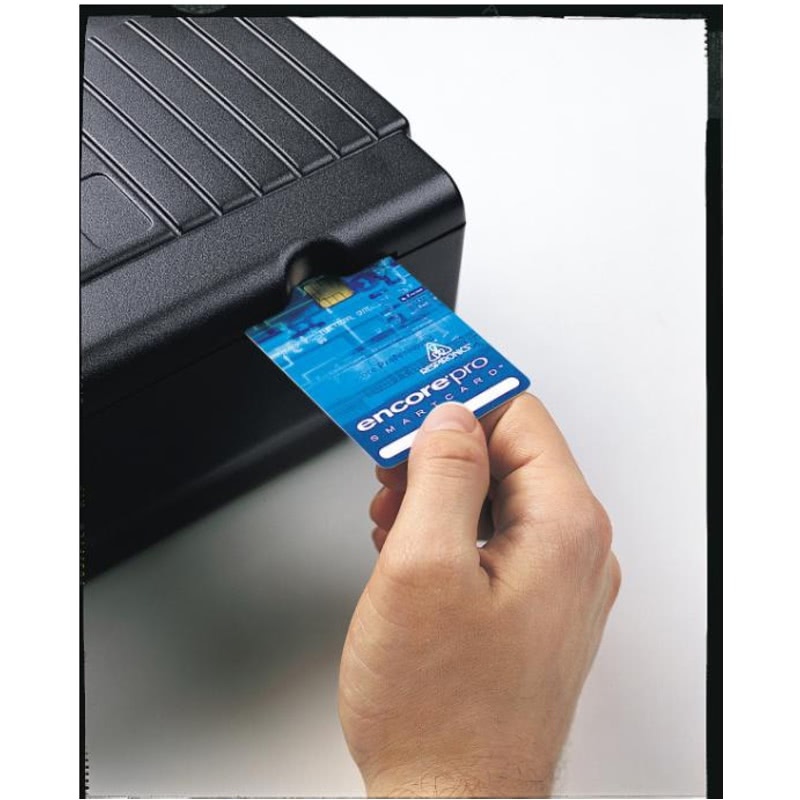 The AutoSV also supports an (S/T) Mode that allows users to set the machine's Breathe Rate and Rise Time. Setting the Breathe Rate lets the machine know how many breaths per minute the system uses to calculate when to automatically switch from exhalation to inhalation. 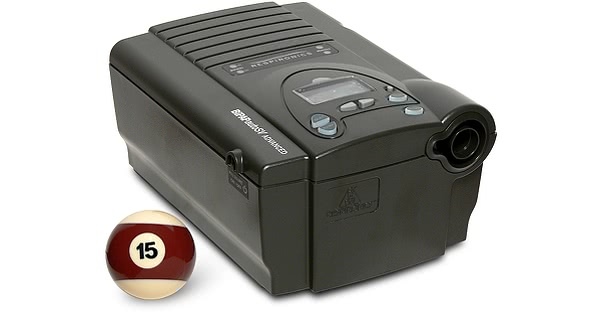 Unlike the standard BiPAP ST, the AutoSV can automatically calculate your bpm. RERAs differ from a hypopnea or snoring event in that a RERA shows increasing respiratory effort with each breath, culminating in a shift in brain wave activity and not necessarily a result of obstruction. Periodic breathing conditions such as Cheyne-Stokes respiration (CSR) and central apneas are distinguishable from obstructed apnea or snoring events. 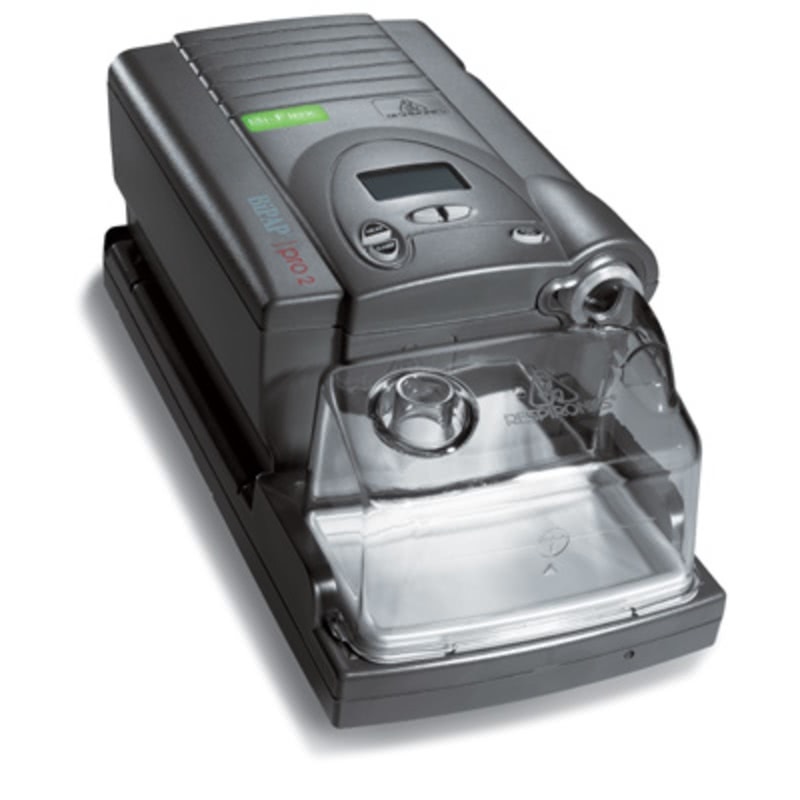 The BiPAP AutoSV Advanced now comes with an Auto-titrating algorithm that allowing the device to operate like an Auto CPAP or Auto Bilevel device. Auto-titration helps address sleep-disordered breathing (SDB) such as obstructed sleep apnea and snoring. The system now recognizes patients who do not respond to pressure increases triggered by apneas or hypopneas. Whereas, other algorithms limit the treatment of apnea events above a fixed pressure level, resulting in under-treated patients. The Auto EPAP feature will automatically adjust the exhalation pressure to prevent airway collapse during an OSA event. Complex sleep apnea is a form of central apnea that occurs as a result of CPAP therapy. In treating such users, care must be taken not to over or under-ventilate while still allowing for natural pauses in breathing. 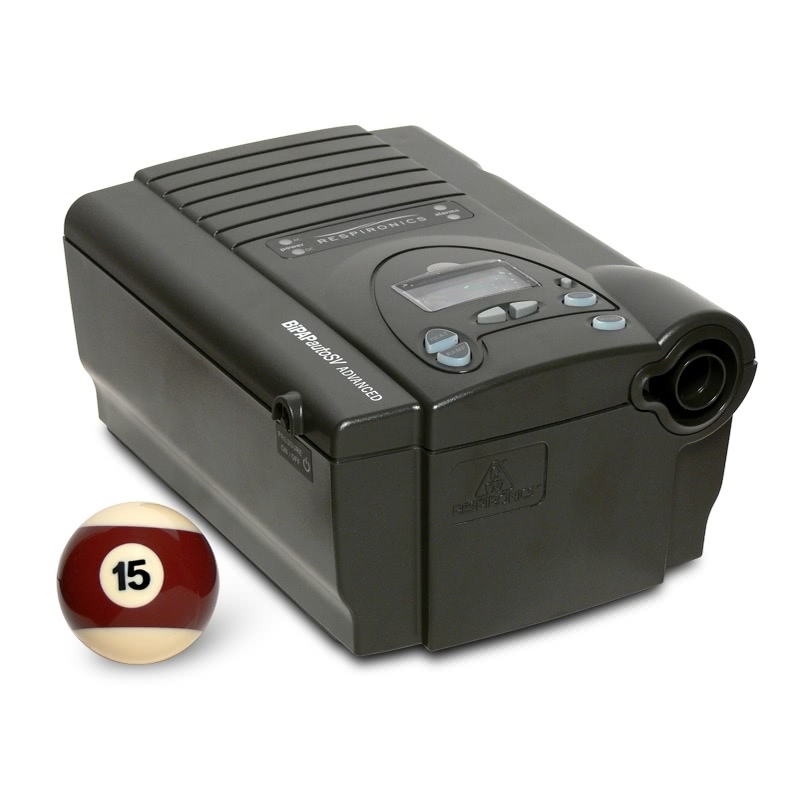 The advanced backup rate for the BiPAP AutoSV Advanced accounts for the user's spontaneous breathing. This system will automatically calculate the backup rate based on a natural respiratory rate. The AutoSV Advanced uses the SV algorithm to assure that each breath is properly ventilated. The SV algorithm monitors breathing patterns for irregularities and can quickly stabilize the breathing pattern based on a set target peak flow. Digital Auto-Track analyzes the flow signal and automatically sets the target flow on each breath cycle. If the user reaches the flow target, then the system does not offer additional pressure support. On-board memory has been added to the BiPAP as well as storing information on an Encore SmartCard. Use EncorePro Software to monitor therapy effectiveness through a series of reports. A new Patient Flow and Event report enables users to view a weekly breakdown on per-breath basis. Patient data is used to identify particular conditions and events with specific colors. For help with titration on the AutoSV, review the Protocol for periodic and complex breathing. What does a BiPAP Auto SV prescription need to say? One of the following words or phrases: "BiPAP SV", "BiPAP Servo Ventilation"
Either an IPAP pressure range and a single EPAP pressure setting OR a single IPAP pressure setting and an EPAP pressure range. Your IPAP Minimum and Maximum Inspiration Pressure (breathing in pressure) or the settings can be provided to us. Your EPAP or expiration (breathing out pressure) or the setting can be provided to us. This may be called the EEP (End Expiratory Pressure). It may contain a backup rate or "Breath Per Minute BPM" setting.